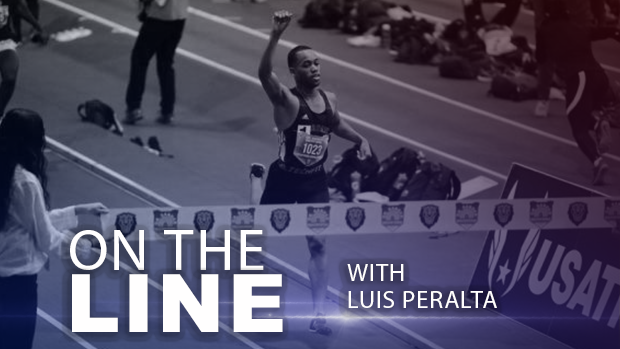 On our latest On The Line podcast, Cory Mull is joined by New Jersey MileSplit editor Robert Kellert and Passaic High School senior Luis Peralta, a University of Oregon signee. Cory and Robert examine the success of Peralta in 2019 and discuss his potential over the remaining weeks, as well as his future at the collegiate and international level. Then, Cory takes some time with Peralta to talk about his career, his current season, his future at Oregon and the opportunities that may exist at the international level for him competing for the Dominican Republic -- Peralta was born in the DR. Among other things, Peralta diagrams his successes and struggles in races, chats about his motivations beyond high school, discusses the mentors in his life and also his favorite things. Don't miss our latest episode of On The Line. "I'm not really nervous. I like adventures." Let us know what you think of the show on Twitter @milesplit or @bycorymull. If you have a suggestion for a guest, email me at cory.mull@flosports.tv.